Well my latest southern Africa adventure didn’t disappoint. As well as re-visiting some of my favourite places in South Africa, I made a new discovery…Lesotho. The “Kingdom in the Sky” certainly lived up to its name – driving through the rugged mountains there, often above 1,000m, I was frequently up in the clouds, quite literally! The highlight was, inevitably, the incredible Sani Pass. If any of you 4×4 enthusiasts out there haven’t done it, put it on your bucket list right now, it’s incredible! Approaching Lesotho from South Africa’s Drakensberg Mountain region, I headed up the pass in a trusty old Nissan Patrol, through the tiny border post about a third of the way up, and then right up to the village at Sani Top. The road was one of the most precarious I’ve ever driven – entirely gravel and rocks, numerous hairpin bends and some treacherous washouts requiring very careful manoeuvring so as not to slip over the edge into the ravine below! What rewards you at the top (apart from having survived the ascent!) is an incredible view looking across the mountains – oh and the highest pub in Africa, which does a mean toasted cheese and ham sandwich washed down with cold beer. An amazing driving adventure – but not for the faint-hearted! As I quickly discovered, Lesotho is home to the wonderful Basotho people, many of whom inhabit remote and basic villages, subsisting on what crops they can grow at such high altitude and the wares they make by hand to sell to tourists (including the distinctive conical hats and heavy blankets which are widely worn by locals in the region). They’re hardy and friendly people, as I discovered when I got my vehicle stuck on a particularly gnarly stretch of road on the way to the Katse Dam. Having got the car jammed somehow over a boulder in what seemed to be a very remote area, local men old and young appeared out of nowhere from the surrounding mountains to help push my car off the rocks and back onto the road. Considering most of them don’t drive cars – they get around on horses for the most part – their understanding of car mechanics was pretty spot on and having assessed my predicament they set about solving it with ingenuity and determination. Wonderful to see. I spent some time in a number of Basotho villages, getting to know the local customs and even learning a little of the native Sotho language too. One of the poorest countries in the world, Lesotho proved to me yet again that it’s often the poorest people in the world who are the most generous – they took me under their wing, lavished me with home-cooked food and handmade gifts, and made me feel so welcome that I didn’t want to leave. I headed back into South Africa with mixed feelings – it would be great if more tourists visited Lesotho, as it’s truly a unique but very poor country and certainly needs the travellers’ dollars; but it’s a secret gem, still off the beaten track in tourist terms, and part of me wants it to stay hidden so that it its wonderful local charm and beautiful landscapes remain as theyare forever. I for one will return, that’s for sure. 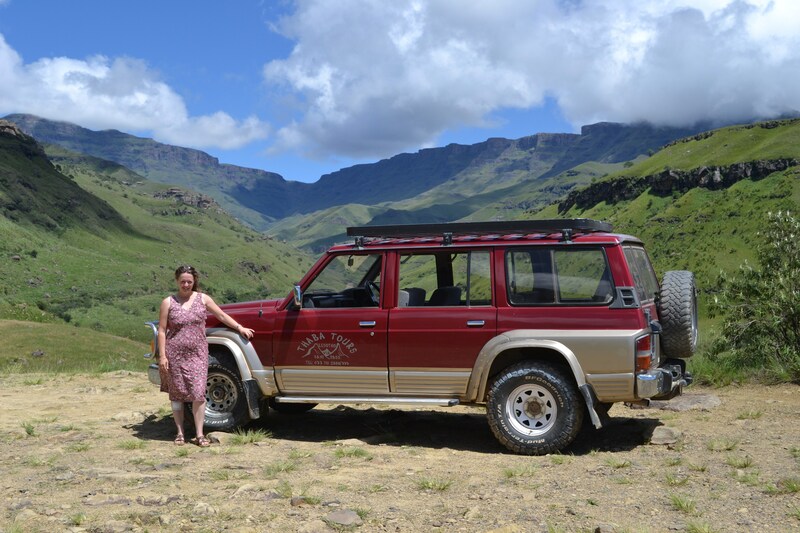 This entry was posted in Adventure Travel and tagged 4WD, 4x4, Lesotho on February 11, 2011 by Jeanie Davison.